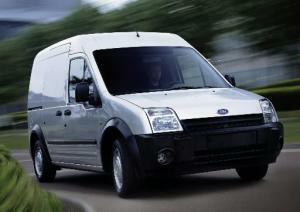 Used van sales figures have smashed the pre-recession record set in 2006, new figures have revealed. According to the latest analysis of commercial vehicle sales by Manheim, the used vans that are sold are on average nine months older and have 12,000 more miles on the clock than in 2006. Despite this, both the value and volume of sales has increased across all categories – large panel, small panel and car-derived – of van. With the used van market growing, there could be opportunities for both dealerships and mechanics. However, for those wishing to expand into this part of the market by selling or repairing this type of vehicle, it is worth considering the implications on your motor trade insurance; it is important to ensure that a road risks insurance policy covers any named employees to drive this particular type of vehicle as part of their business operations. Furthermore, if you’re one of the individuals to have purchased a van for business use and don’t work directly in the motor trade, make sure you consult an expert broker like ChoiceQuote to obtain a competitive van insurance quote. Manheim’s research found that large panel vans saw a 42 per cent rise in sales value between 2006 and 2014, even though the average age increased by six months (from 54 to 60) and its mileage rose by 8,000 miles (from 93,000 to 101,000). Car-derived vans followed a similar trend, with the vehicles sold often being older and with more use but rising in value, this time by 59 per cent, which equates to an increase of £1,272. Meanwhile, the average selling price of a small panel van rose by 20 per cent, or £584, over the eight-year period.